In recent years, international arbitration has emerged as a high-growth area for the litigation funding industry. All the major funders now have international arbitration cases in their portfolios, and many are aggressively seeking more – especially investment treaty cases. Third-party funding (“TPF”) is an area of intense debate amongst practitioners of investor-State arbitration. Of all the cases that inform this debate, the best known is RSM Production Corporation v Saint Lucia (ICSID Case No. ARB/12/10) (“RSM”). In RSM, the claimant – described as a "serial" ICSID litigant – resisted a costs order made by the Tribunal. In his assenting opinion, one of the arbitrators (Dr. Gavan Griffith QC) explained that, as a general principle, States in investment arbitration should be regarded as accepting the risk that claimants may not be able to meet costs orders. This will often be due to the same reasons the claimant brings the arbitration against its host State (ie, the disputed measures have caused the claimant's sole business venture to stop generating revenue). In those cases, Dr. Griffith explained, the third-party funder is a self-appointed invitee who takes a significant financial benefit arising from claims made by the funded party against the State under the terms of an investment treaty, but hides behind the costs immunity that is ordinarily accorded to the claimant. In Dr. Griffith's view, the funder should not enjoy the same protection against security for cost orders that is accorded to the claimant itself. On this premise, claimants in investor-state arbitration might have to absorb cost orders if they are funded, and that might impact the way funders approach their funding arrangements with claimants in investor-state disputes. Cases like RSM suggest that a specific body of TPF principles is beginning to emerge in ICSID arbitration. The ICSID system is self-contained, delocalised and not subject to the supervisory power of local courts, which means that, in structural terms, it is possible for ICSID practice to evolve independently in the area of TPF. Outside the ICSID system, the participation of funders in arbitration raises a number of other issues, some national and legal, and others international and ethical. As the number of funded users of international arbitration increases, regulation of TPF is becoming an important factor in choosing the seat, and awareness of this is driving legislative change in this area. If the funded party prevails in the arbitration, the respondent may seek to set-aside the award on the basis that, as the product of a funded arbitration, the award is offensive to public policy. Further, the funded party’s lawyers may be at risk to the extent that they are subject to the professional conduct rules or legal practice regulations of the seat. Finally, for the funder, there is a risk that, if the funded party’s assets are located in a TPF-intolerant jurisdiction, the funder may not be able to enforce its rights under the funding agreement. Experienced arbitration lawyers are aware of these risks: if they have a client that will or may need TPF, they will advise that client to choose another seat. Sophisticated legislators are aware of this and the potential it has to reduce their share of the global market for arbitration services. This is why many of the leading seats are now changing their laws to make them more TPF-tolerant. Singapore is the latest example. First, Singapore law generally treats third-party funding agreements as contrary to public policy or illegal. This policy is informed by the common law doctrines of maintenance and champerty (maintenance is the giving of assistance or encouragement to a litigant by a person who has neither an interest in the proceedings nor any other motive recognised by law as justifying interference; champerty is the maintenance of an action in exchange for share in the fruits of the proceedings). Second, Singapore law regards maintenance and champerty as torts at common law. An affected party could (at least in theory) sue the funded party (or parties) in tort if the affected party has suffered special damage as a result of the relevant tortious arrangement. 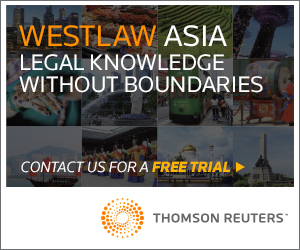 The Singapore Court of Appeal has stated that the principles behind the doctrine of champerty apply to all types of legal disputes and claims, including arbitration proceedings (Otech Pakistan Pvt Ltd v Clough Engineering Ltd & Anor  1 SLR(R) 989). There are, however, certain statutory and common law exceptions to the doctrines of maintenance and champerty in Singapore. 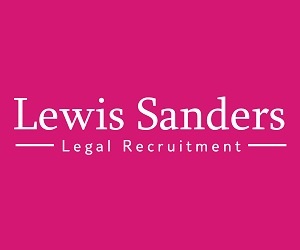 For example, the liquidator of an insolvent company is allowed to sell – to a funder or other party – a cause in action and/or the fruits of a cause of action (Companies Act (Cap. 50), s 272(2)(c); Re Vanguard Energy Pte Ltd  4 SLR 597). there is no realistic possibility that the administration of justice will suffer as a result, taking into account the protection of the purity/due administration of justice (for example, the extent to which the funded litigant retains control over legal proceedings or has ceded such control to the funder) and the interests of vulnerable litigants, and ensuring access to justice (Re Vanguard Energy Pte Ltd  4 SLR 597, ; Lim Lie Hoa & Anor v Ong Rebecca Jane  1 SLR(R) 775, ). On 30 June 2016, the Singapore Ministry of Law (“MinLaw”) launched a public consultation on its proposals for enactment of a legislative framework for TPF. The proposed new legislation will clarify that the common law torts of maintenance and champerty are abolished, and provide that TPF contracts are not contrary to public policy or illegal in international arbitration and related proceedings. Singapore's MinLaw has also proposed a number of TPF-related safeguards. For instance, MinLaw has proposed that third-party funders only be able to enforce their rights if they satisfy a number of conditions. These include a requirement that the funder has access to funds immediately under its control sufficient to fund the relevant proceedings in Singapore. It is also proposed that lawyers will be bound to disclose the existence of a TPF agreement and the identity of the funder to a court or arbitral tribunal and every other party to the proceedings. The proposed legislation also envisages guidelines (based principally on the IBA Guidelines on Conflicts of Interest in International Arbitration) being issued in due course. If enacted, the new legislation will reduce (even eliminate) the risk that a TPF arrangement is used as a basis for judicial intervention in the arbitration or as a premise for an application to set-aside the award (or refuse its enforcement). This will make Singapore more attractive as a seat. While TPF is often associated with smaller businesses, larger businesses increasingly use TPF products as cost/risk shifting tools. So, while the short-term market impact of these changes may be more pronounced at the “smaller end of town”, in the long term it is likely that the new TPF rules will also increase Singapore’s capture of cases involving larger businesses too. Finally, the changes will mean that Singapore lawyers are able to act for funded parties in international arbitration proceedings. Years ago Hong Kong acknowledged that allowing TPF for international arbitration proceedings seated in Hong Kong will increase Hong Kong's competitiveness as an arbitral seat. "In the light of the history of champerty, it was not appropriate to extend the doctrine from public justice to a private consensual system, that is, arbitration, especially when faced with the diminution of the role of the court in relation to arbitration and the introduction of the UNCITRAL Model Law which gave supremacy to the doctrine of full party autonomy. Parties chose arbitration to keep out of the public justice system save when some support for the arbitration process was required from the courts. Therefore, the doctrine of champerty did not apply to arbitration proceedings and was confined to agreements about the conduct of litigation. 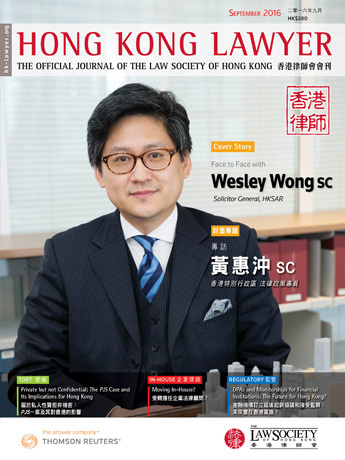 Moreover, in Hong Kong, many arbitrations had an international dimension and to subject international parties to a rule of law which was not applicable in many other jurisdictions would be to make Hong Kong a less desirable venue for international arbitration." 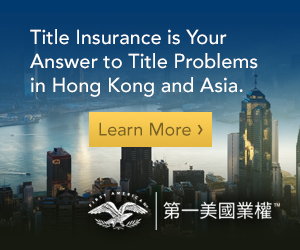 In October 2015, Hong Kong conducted a legislative consultation process regarding TPF, following which the Hong Kong Law Reform Commission's Sub-committee on Third Party Funding for Arbitration (“Sub-committee”) issued its draft TPF guidelines. management of conflicts of interest. For example, the Sub-committee looked into whether an arbitrator's impartiality will be called into question in cases of multiple appointments by different parties but backed by the same funder. The approach that will be taken by the Hong Kong legislature is unlikely to differ too significantly from that taken by the Singapore legislature. In Hong Kong and Singapore, TPF has traditionally been viewed as a speculative business venture that would sully the "purity of justice" by incentivising the champertous maintainer to "inflame damages, to suppress evidence, or even to suborn witnesses" (see Re Trepca Mines Ltd (No 2)  Ch 199 at 219-220 per Lord Denning). Drawing on such dicta, critics of TPF have attacked litigation funding for fear it will lead to "trafficking in litigation" and the wastage of public resources on unmeritorious claims. But, as the discussion above shows, international arbitration practice has already evolved to ensure that adequate checks and balances are in place to address these concerns. Further, those who criticise TPF often fail to acknowledge the way funders work: if a claim is truly without merit, it will not get funding. Funders do not just bet on any horse that rides past. Sophisticated funders have boards of expert advisers (often experienced international arbitration lawyers) who are tasked with analysing each claim before any decision is made to commit funds to support its prosecution. So, in systemic terms, funders can and do play a filtering role, eliminating frivolous claims before they become burdensome legal actions. In the context of international arbitration, as Kaplan J sitting in Hong Kong found over a decade ago in Cannonway, it would be fundamentally unfair to subject international disputing parties to the TPF-intolerant legislation that has become obsolete both conceptually and in practice. For Hong Kong and Singapore, TPF is an important policy area. Both jurisdictions have now come to understand that, regulated in the right way, TPF will not lead to a flurry of frivolous claims. Rather, TPF has the potential to deliver access to justice for parties who would otherwise be priced out of the court. More broadly, it is also clear that, if a jurisdiction does not have TPF-tolerant laws, it risks losing market share to jurisdictions that do. Inter-seat competition is, therefore, undeniably driving legislative change in this area. Dr. Luttrell is a counsel with the international arbitration practice of Clifford Chance in Perth. He is a prolific writer in the areas of trade and investment law. 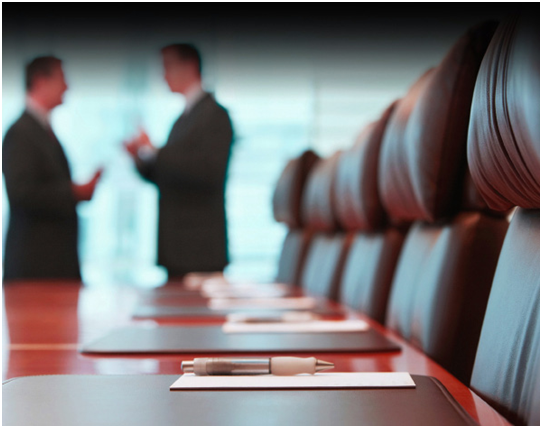 His practice covers both international commercial arbitration and investor-State arbitration. In 2016, Dr. Luttrell was named in Australia’s Best Lawyers for international arbitration. Noted for his "very good advocacy skills" (Global Arbitration Review), he is recognised as a "rising star" of dispute resolution in Australia (Doyle's Guide) and a "key contact" with "experience in sovereign State arbitrations across the Asia Pacific region" (Legal 500). Ms. Anthony is a senior associate in our Litigation and Dispute Resolution practice in Singapore. She has previously assisted a prominent Senior Counsel in a Singapore firm on premier commercial disputes. She also has relevant experience in investment treaty disputes.